The Goffin’s cockatoo, originating in Tanimbar Islands, is considered to be the smallest kind of white cockatoo. 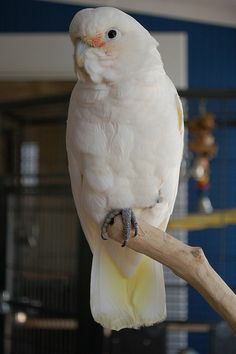 This fun loving and intelligent bird is appreciated and adopted all over the world. It is a well-regarded pet due to its inquisitiveness and pleasant characteristics. 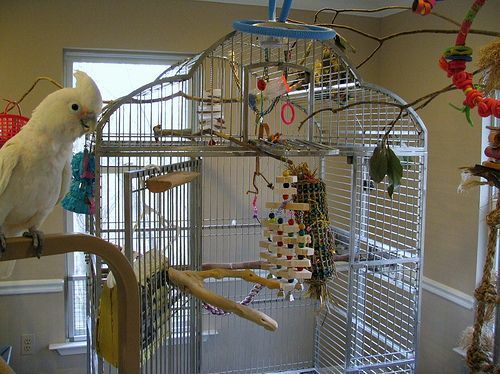 Keep your bird in a strong cage sizing 24 x 20 x 24 inches with a good locking system. Put inside some non-toxic and natural perches along with chewable toys, wooden blocks, tricky puzzles, and knots. 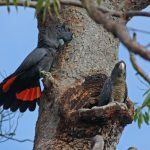 Provide a constricted nest box of 12X12X36 inches. 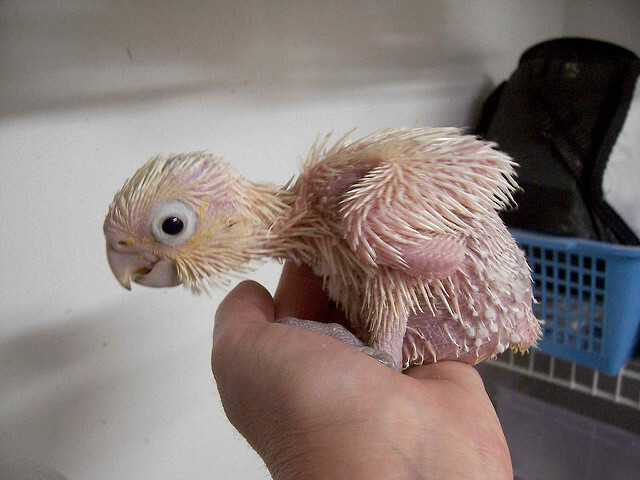 An average room temperature is what your bird needs to stay comfortable in. 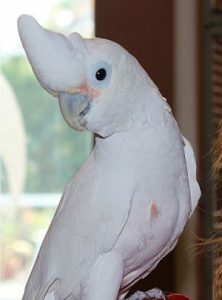 Funny, charming and rarely aggressive, it has a habit of playing, climbing, snuggling and cuddling all day long. 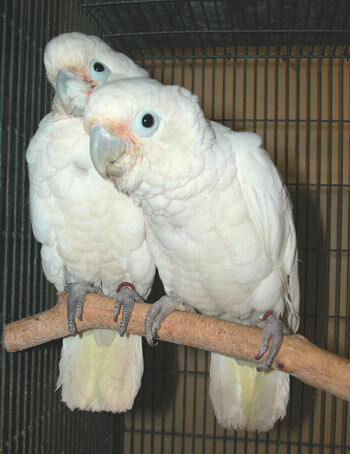 Some Goffin’s cockatoos can learn to speak monosyllabic words. Your pet might have an inclination towards dancing to the tunes. 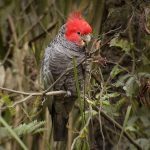 It becomes little noisy only when it is either hungry or bored. 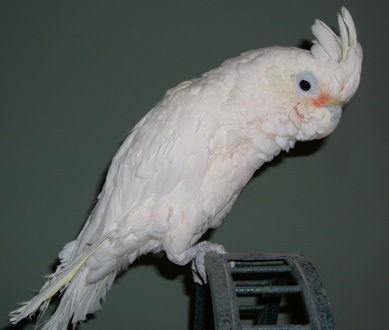 Self-destructive behavior like feather plucking is commonly observed if it feels ignored. 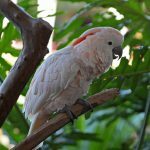 This intelligent bird is often escape-prone, and can easily learn the trick of unlocking the cage only by observing you so keep it under watch until it grows attachment with you and your family. 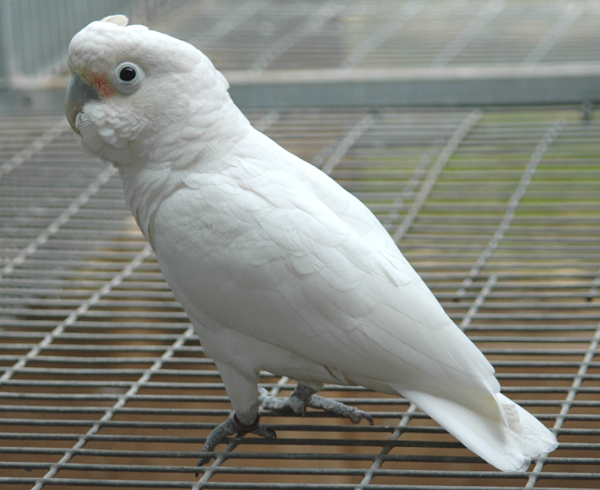 Wean your bird fresh vegetables, nuts, fruits, and commercial pellets. 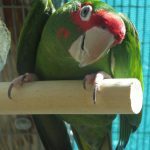 Keep your bird busy with some brain stimulating games and a few hours of out-of-the-cage time for its physical exercise. 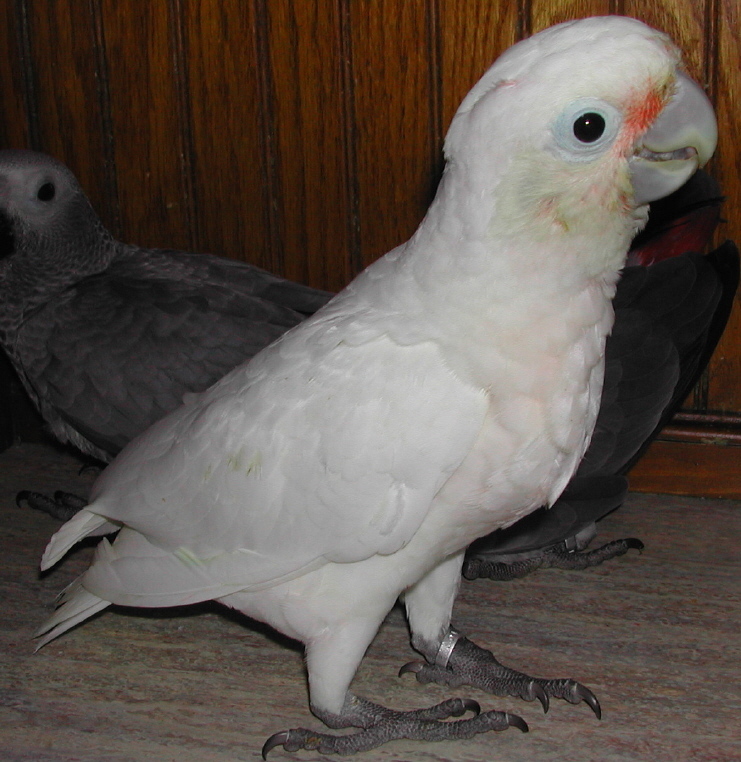 Clipping the primary flight feather is also necessary so that it can at least glide instead of flying. If your children are allergic to dust, then keep them away from this pet as it produces dander i.e. feather dust. 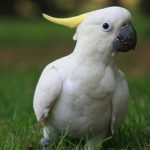 Take your bird to a professional vet if it suffers from conditions like fatty liver, Psittacine beak and feather disease, and parasite infection like Sarcocystis. Also, itching and throwing up are signs that it needs medical supervision. 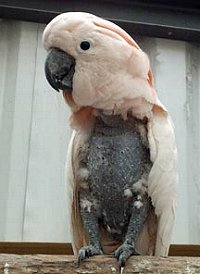 A Goffin’s cockatoo would cost you around $1,200. 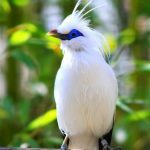 Mr. Otto Finsch, who had discovered the species, named this bird after his friend Mr. Andreas Leopold Goffin. The Goffin’s cockatoo is often mistaken as the bare-eyed cockatoo for their similar physical features. 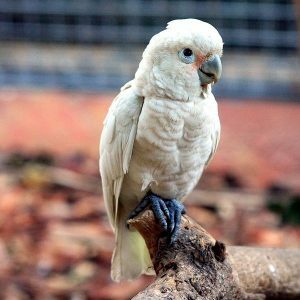 According to a joint research carried out by some scientists of the Oxford University, Max Planck Society and the University of Vienna, a group of Goffin’s cockatoo showed impressive performance in unlocking a lock with a twisted mechanism.